We are pleased to announce the hiring of veteran programmer and one of the principle architects of DNN, Joe Brinkman. Brinkman will operate as a senior developer and new software consultant. As Engage continues to grow and client needs expand, we sought a top-level, senior developer who could provide an immediate impact to our clients as well as bring expertise to the development of custom solutions. Engage enlisted Brinkman to meet that need and to share his experience with the firm’s talent pool. We are thrilled to bring someone of Joe’s caliber onboard. With his level of talent and depth of experience, Joe will be a valuable resource for our clients and a great mentor for the newest members of our team -- further enhancing Engage’s high-performance capabilities. 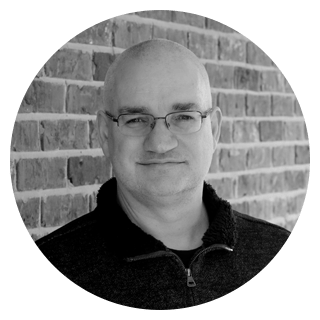 Brinkman brings to Engage nearly 30 years of experience in software development and network administration, as well as a broad range of expertise in a variety of software architectures. Previously, Brinkman co-founded DotNetNuke Corporation in 2006, and served in a number of roles at DNN Corp., including as a Technical Fellow and as Vice President of Technology and Community Relations. In addition, Brinkman has co-authored a number of best-selling books on DNN and is a highly sought-after speaker at conferences and user groups. In 2017, Engage AMS launched and based on the custom development needs of the firm’s clients, Engage will be launching more products in 2019. In order to meet client demand, we have identified a number of products to develop in the upcoming year. We plan on leveraging Joe’s product management skills to help bring these new items to market to kick off a groundbreaking and prosperous 2019.